This section will hopefully provide you with a current price guide on what you can expect to pay for that choice Subs item you have your collecting eye on! 2014 started with a bang for one Subs collector! This vintage in-store poster for Another Kind of Blues went for £311.00 plus postage. 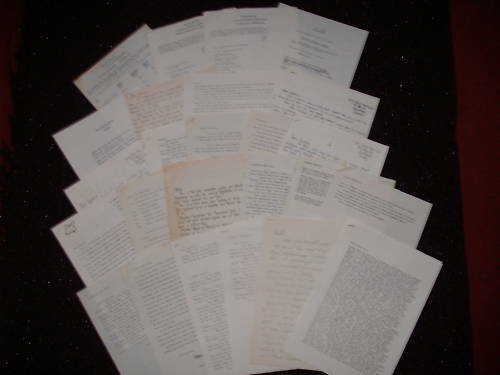 Described as a "...cardboard shop promo...", several paper copies have cropped up before and usually sell for around £100, depending on condition, but no cardboard copies have been seen before. 22 July 2013: Mysterious One-Off Pressing? 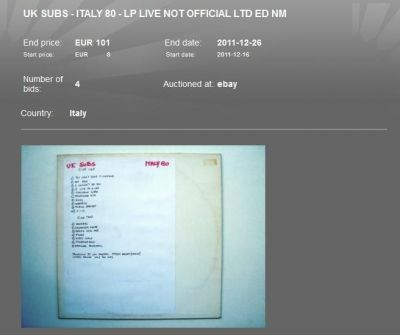 In 2013, the e-Bay seller '09dave196655' listed an ultra rare copy of 'Party In Paris' multiple times at £699-00 plus £4-50 postage and packaging! "UK SUBS party in paris/fall of the empire 7"
the colour is 4 bits of orange and 4 bits black this is the only copy i have found that is like this so this has got to be one of the rarest UK SUBS records ever, the bad thing is the record has a very small crack right at the beginning but as this is a one off this should not real bother the buyer the sleeve is vg any questions please feel free to ask yes its an original from 1980." 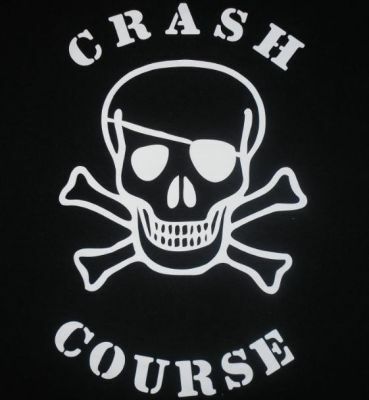 01 June 2013: The XXIV tri colour package hits new heights of collecting madness, sorry, mania! Another copy sells on ebay for £92.00 plus packaging. We'll let you know if anyone tops that. 20 April 2013: A copy of what has become a modern collectors piece, the Time & Matter Recordings limited edition 7" Single 'Product Supply' sells on ebay for £27.00 plus postage. Prices have dropped slightly from a high of £62 back in July 2012 but it's still an elusive collectable for some. 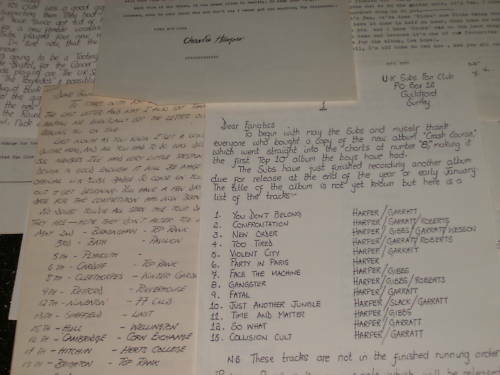 08 April 2013: Once in a lifetime opportunity to aquire the orignal master tape for Keep On Running on ebay which suprisingly saw only one bid. Time & Matter are pleased to announce that we have bought the tape and more details will be coming soon. 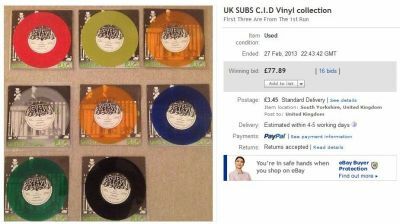 27 February 2013: A full set of coloured vinyl issues of CID on City Records, including the orange vinyl version with two different sets of writing in the run out grooves, sold on ebay for £77.89 plus postage. 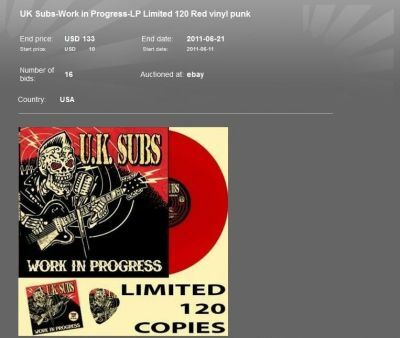 14 October 2012: This website's charity auction for a white label copy of 'The Revolution's Here' 7" has sold for £262-55 on e-Bay. Click the below to enlarge. 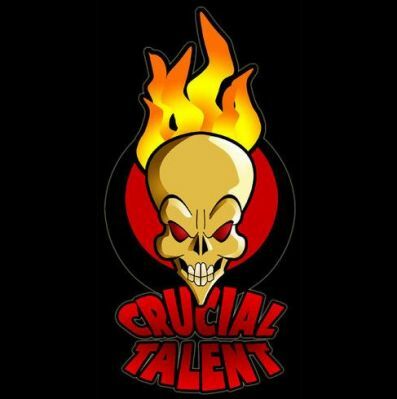 21 July 2012: This website's recent charity 7" single 'Product Supply' has sold for £62-00 on e-Bay. Click the below to enlarge. 15 July 2012: A red vinyl copy of Work in Progress with plectrum and promo cd have sold on e-Bay for £41-00. See another previous sale below on 21/6/2011. Click below image to enlarge. 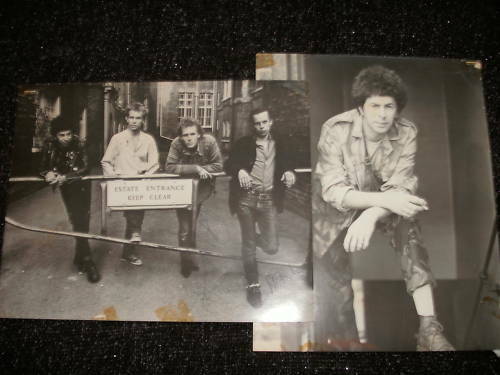 4 July 2012: A Peel sessions LP has sold for £44 on e-Bay. Click the below image to enlarge. 3 June 2012: A copy of Noise Magazine No.16, dated 9-23 December 1982 has sold for £52 on e-Bay. 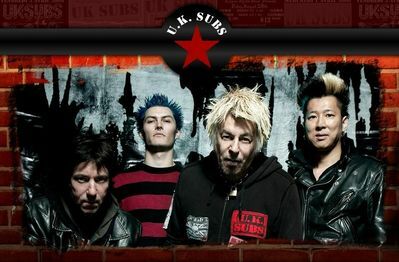 The UK Subs' name is featured on the front cover although it is not clear what the actual Subs content is. 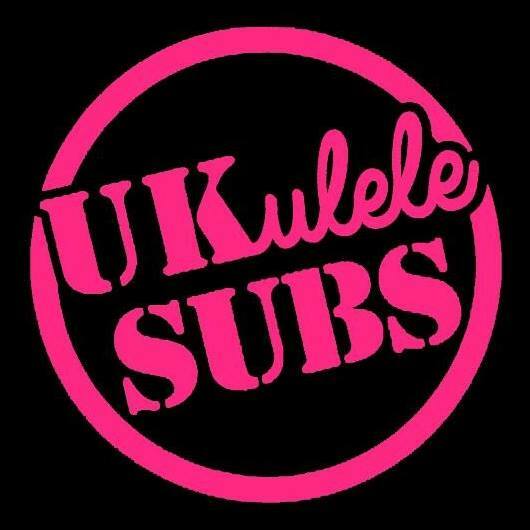 Please contact us if you can confirm the Subs content. Click the below image to enlarge. 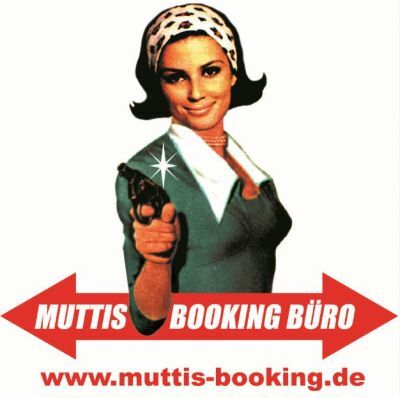 26 December 2011: A bootleg version of the 1980 bootleg Dance & Travel In The Robot Age (that still makes my head hurt - Rob) sold on Boxing Day for 101.00 euros (which saddo was bidding on Boxing Day? Ahem!) A rare version of this rare Subs record, probably would have gone a lot higher if it had finished on a different day. 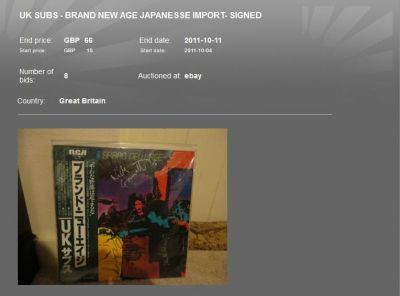 11 October 2011: A Japanese pressing of Brand New Age, autographed by the then line-up sold on e-Bay for £66.00 plus postage. This is roughly in-line with prices for good quality copies of this unusual release with the Promo copies fetching slightly more. 21 June 2011: A red vinyl copy of Work in Progress with plectrum and promo cd have sold on the US e-Bay site for $133.00 plus postage. Clearly a future collectable, limited to 120 copies that sold out in days, Subs fans on the other side of the pond clearly missed out first time. 15 May 2011: A 7" Fan Club only 'Party In Paris' in French has sold on e-Bay for £42-00. Click on the below screen print for more details. 3 May 2011: A 1979 original 'Another Kind Of Blues' T-shirt has sold on e-Bay for £103-00 including p&p. 3 May 2011: A 7" Fan Club only 'Party In Paris' in French has sold on e-Bay for £79-79. 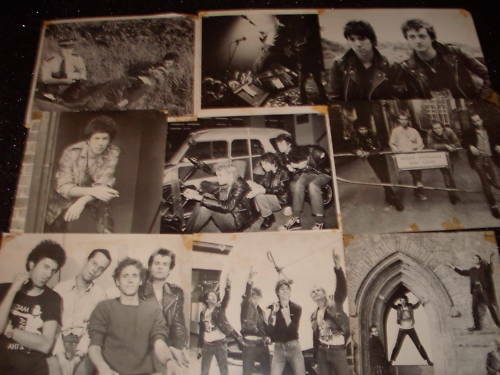 29 April 2011: A 1978 Crass/UK Subs gig flyer has sold on e-Bay for £80-80. 14 April 2011: A test pressing of the 'Killing Time' LP has sold on e-Bay for £32-56. 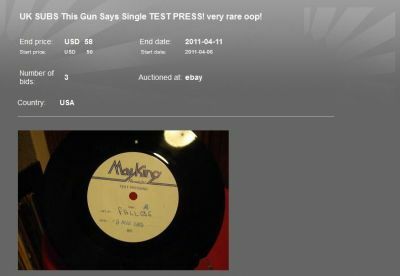 11 April 2011: A test pressing of This Gun Says has sold on e-Bay for $58.00 plus postage. Only listed on the US version of the auction site, this would have gone higher if listed internationaly and as test pressings go, this was a bit of a bargain. 10 April 2011: A copy of the 'Stranglehold' sheet music has sold on e-Bay for £32-00. 6 April 2011: A misspressed label 'Teenage' 7" single has sold on e-Bay for £26-00. 5 April 2011: A copy of the Fan Club 'Party In Paris' one sided single (sung in French by Charlie) has sold on e-Bay for £156.00 plus postage. Quite staggering that a release that usually sells for around £40 should go so high and that there should be such a lot of bidders (13 bids in the end). Maybe something to do with the current high level of interest in the band. Click on the screenprint below to enlarge. 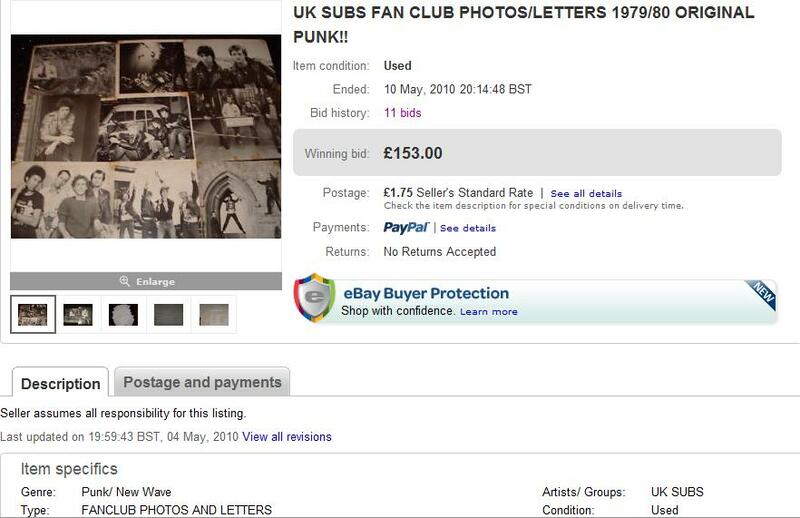 26 March 2011: A collection of UK Subs Fan Club memorabilia has sold on e-Bay for £45-44. 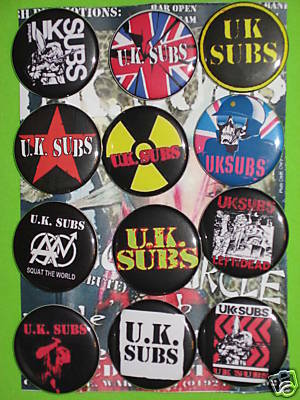 15 February 2011: 3 U.K. Subs Russian flexi discs sold for £161-00 (inc p&p) on e-Bay. Click on the below screenprint to enlarge. 14 February 2011: A "Mint, possibly unplayed" Test Pressing for the Greek issue Brand New Age LP has sold for just over £250-00 on e-Bay. 12 February 2011: A C.I.D. button badge sold for over £16 (inc p&p) on e-Bay, the seller described the 'antique' thus: "This badge was bought by myself in 1978. It measures 3cm (1.25") in diameter. It is a little rusty on the back and has some scratches, some have pierced the clear plastic coating, otherwise it is in good condition considering its age..."
16 January 2011: Another Kind Of Blues poster (from 1979?) 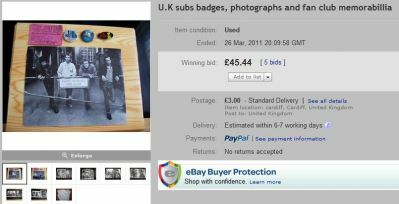 sells on e-Bay for £256 !!! It was sold with a copy of the LP. Click on the below screenprint to enlarge. Thanks to Martin Watson for drawing our attention to this monster! As far as the web admins know, this poster wasn't given away with the LP, but it looks like either an old Fan Club merchandise poster or an old Record Shop poster? 5 January 2011: A mint copy of the promo for the Spanish Stranglehold 7" release, sold for £69-90 on e-Bay. Click on the below screenprint to enlarge. 11 September 2010: A 7" clear vinyl 'bootleg' single of the U.K. Subs' November 1977 4 track demo, produced by Paul Mileman in 2010, and limited to only 5 copies, sold for over £90-00 on e-bay. Click on the below image to enlarge. 5 August 2010: An RFB Recordings cassette copy of Huntington Beach sold for over £55-00 on e-bay.Click on the below image to enlarge. 4 July 2010: A Spanish promo copy of Diminished Responsibility, with information sheet went for a whopping £532-23 plus postage on e-bay. Click on the below image to enlarge. 9 June 2010: A 1979 USA Subs concert t-shirt sold for, including postage, over £50 on e-bay. 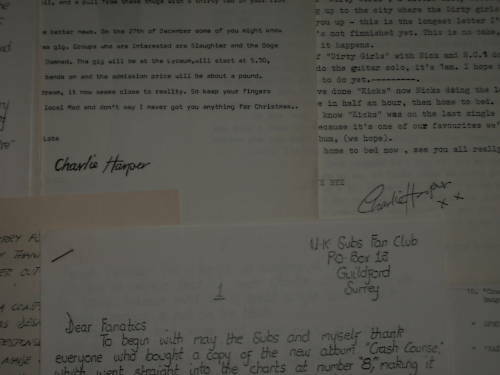 10 May 2010: A collection of 9 old Fan Club photos and 27 newsletters etc sold for £153 on e-bay. 2 March 2010: A Spanish copy of the LP Diminished Responsibility has sold for £201 on e-bay! This eclipses the £150 plus that the previous copy on e-bay went for around six months ago. 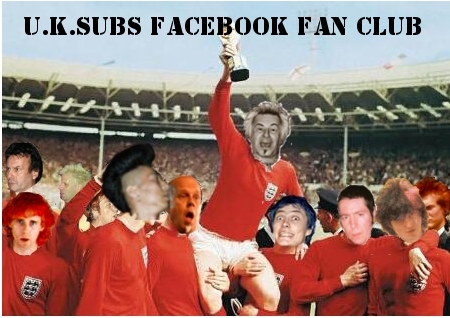 Please see the below links for places where you can buy all sorts of UK Subs relat ed merchandise, records, CDs etc. The links at the top are the official links, which you should visit first to ensure that the band receives maximum royalties. However, if you cannot obtain what you want at the original source then please see the other links provided.